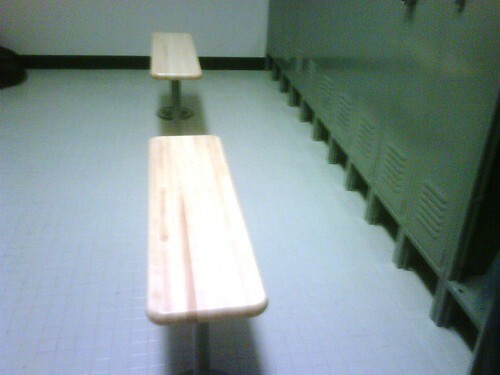 Locker Room Benches 210 West 29th St NYC, a photo by Gale's Industrial Supply on Flickr. Gale's Industrial Supply offers immediate deliveries on Locker Room Benches. Lifetime Warranty and onsite layout assistance. Locker Room benches for gym, schools and work are sometimes overlooked when ordering lockers. Durable hardwood benches offer strength and look good. Benches are available with pedestals than can be anchored to the floor and free standing benches that can be moved around. For guidance on how many benches are required per lockerroom, placement and sizes available. Contact Gale's today. We offer fast delivery, lifetime warranties and low cost solutions.